Trochanteric bursitis, or hip bursitis, as it is commonly referred to as, is a common orthopedic condition that normally is self-limiting. The condition refers to inflammation of a fluid filled sac (bursa) that sits along the outside of the hip. This area, known as the greater trochanter, is formed from the upper end of the femur bone. This is attachment point for muscles and tendons and is an area where friction may develop. The body’s response to friction is to produce bursa tissue. What causes bursitis and what are the common symptoms? Trochanteric bursitis typically develops gradually. Injury to the lateral (outside) part of the hip, an overuse injury such as standing for prolonged periods of time, poor posture, lower spinal related disorders, calcium deposits in the surrounding tendons, a sudden change in a workout or training routine, a leg length discrepancy, and other medical conditions such as rheumatoid disease, gout, or thyroid disease can cause hip bursitis. 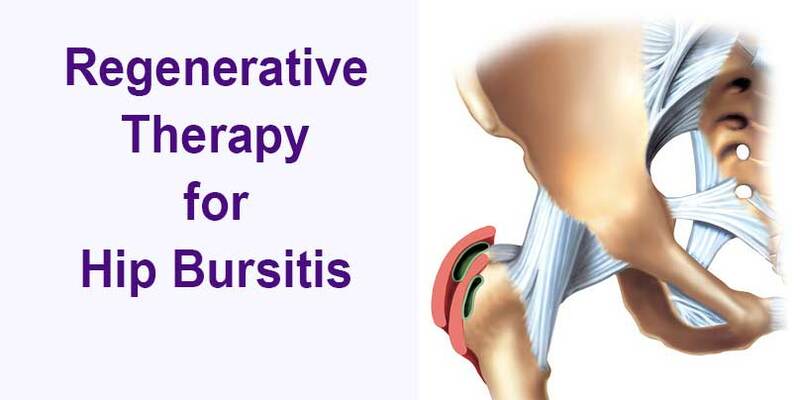 Bursitis also may develop following a hip replacement. Pain usually develops along the outside of the hip and may begin to radiate downward. There may be tenderness along the bony ridge that forms the greater trochanter. There may be pain with standing from a seated position or with stair climbing. As the disease progresses, increased stiffness within the hip may lead to a limp. Sufferers of hip bursitis often complain of increased pain at night while lying on the affected side. Treatment for trochanteric bursitis may include activity modification, rest, non-steroidal anti-inflammatory (NSAID) medication, and physical therapy and corticosteroid injections. As systematic review published by Lustenberger et al (2011) found that as many as 33% of patients treated required a second corticosteroid injection to alleviate symptoms of hip bursitis while some had 5 injections! Surgical management of trochanteric bursitis may be recommended for those who have tried and failed all of the conservative treatment options and still remain symptomatic. A 2014 study published by the American Academy of Orthopaedic Surgeons (AAOS), compared a single corticosteroid injection to a single platelet rich plasma (PRP) injection for chronic hip bursitis. Twenty patients were included in each group. Outcomes were measured based on validated outcome questionnaires that looked at pain levels, function, and stiffness. Patients treated with PRP had greater improvements in post-treatment scores and had lasting effect (at 1 year after injection) whereas those treated with a cortisone injection had scores that returned back to pretreatment levels within 3 months. The results of the small study appear promising, but further well controlled studies are needed to fully delineate the effectiveness of PRP injections for hip bursitis. At present, the medical literature is very limited on studies looking at PRP injections and Prolotherapy for hip bursitis. There are a few case reports about patients being successfully treated with either PRP or Prolotherapy. Both PRP and Prolotherapy appear safe and may offer suffers long lasting relief. 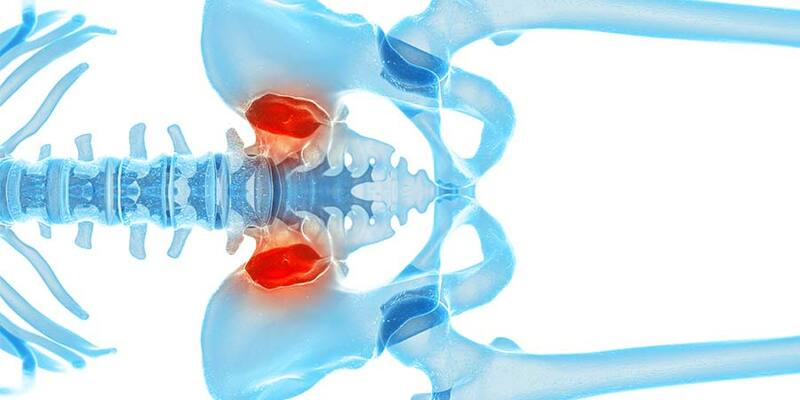 Hip bursitis is one of the most common causes of pain in the adult population. It is normally a condition that can be treated non-surgically for most. Unfortunately, some will not improve with treatment resulting in a chronic condition that is much harder to cure. Regenerative injection therapies such as PRP and Prolotherapy should be considered if clinical improvements are not seen early in the treatment process. Lustenberger DP, Ng, YV, Best TM, Ellis TJ. Efficacy of Treatment of Trochanteric Bursitis: A Systematic Review. Clin J Sports Med. 2011 Sept: 21(5): 447-453. Over 2.3 million people were injured on U.S. roadways in 2013. 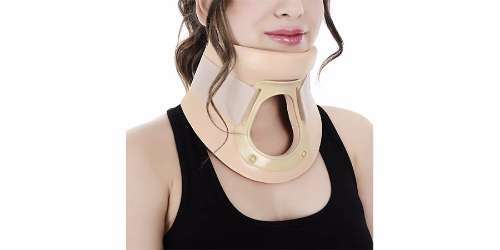 When looking at injuries sustained from nonfatal crashes, whiplash is among one of most commonly reported injuries. Whiplash can also occur from other traumatic events including falls, sports injuries, physical violence and work related accidents. The term “Whiplash” is actually a generic term referring to a rapid forward then backward motion of the head and head. The true definition of whiplash debateable. In medical terms, this is a hyperflexion – hyperextension or acceleration-deceleration type injury. With the forces that cause this type of injury, the cervical spine is believed to go beyond its normal range of motion and has the potential to injure the surrounding soft tissue structures (ligaments) and discs. As a protective mechanism, the neurological system attempts to stabilize the area by contracting the surrounding muscles. There are several known factors (and some unknown) which may determine the extent of injury. This includes prior level of health, physical condition, posture or position of neck at the time of impact, and awareness of pending impact. Commonly reported symptoms of a whiplash type injury include immediate or a delayed onset of neck pain with or without referred pain to the upper back and shoulders, tingling and numbness to the upper extremities, headaches, dizziness, and blurred vision. Often patients will complain of referred pain to the arm(s) which may include tingling and numbness, yet clinically there may be no loss of strength, sensation, or function. Treatment for whiplash injuries has also been all across the board. Some focus on rest and immobilization of the neck while the general consensus for treatment for those with a whiplash type injury (without neurologic deficit) has been promoting an active lifestyle. Specific treatments may include non-steroidal anti-inflammatory medication and physical therapy. Taken from a 2008 systematic review and meta-analysis of the literature, Kamper et al looked at 37 published articles focused on acute whiplash injuries. The findings from this showed that a significant proportion of those injured recovered in the first three months following an accident. The authors concluded that pain and disability tends to reduce most rapidly during the initial 3 months but after that time period, little improvement occurs. There are many inconsistencies in looking at what factors are important for determining the prognosis. Some of the postulated factors found in the literature associated with a poor recovery include high pain levels, disability levels, depression, and neck range of motion, mechanical hyperalgesia, and the presence of post-traumatic stress symptoms. So what treatment options exist for those who do not improve initially and develop chronic pain? Some are told to live with the pain while surgery may be recommended for others. 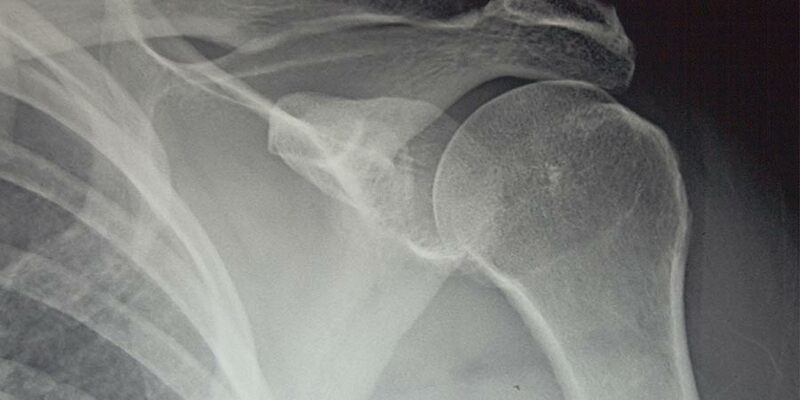 Prolotherapy may be a reasonable option for this subset of patients. While the literature is very limited in regards to studies involving prolotherapy for post-traumatic neck pain or whiplash, reports from as early as the 1960’s published in the literature, showed treatment success in the range of 90% for this specific application. An observational study published by Hauser et al (2007) showed significant improvements in pain levels, cervical range of motion, and disability levels for the study population. Hooper et al (2007) reported on 18 patients treated with dextrose Prolotherapy. The findings from this study were similar to Hauser et al. Significant improvements were seen in pain scores and disability measures. Limited conclusions can be drawn based on the methodology and outcomes of these types of studies, however, the results do show the potential for prolotherapy as a viable treatment for those with chronic neck pain from a whiplash type injury. U.S. Department of Transportation. NHTSA. Traffic Safety Facts. December 2014. Kamper SJ., Rebbeck TJ., Maher CG., McAuley JH., Sterling M. Course and prognostic factors of whiplash: a systematic review and meta-analysis. Pain. 2008 Sept 15; 138(3): 617-629. Hackett G. Prolotherapy in whiplash and low back pain. Postgraduate Medicine. 1960. pp 214-219. Hauser RA, Hauser MA. Dextrose Prolotherapy for Unresolved Neck Pain. Practical Pain Management. 2007. Hooper RA, Frizzell JB., Faris P. Case Series on Whiplash Related Neck Pain Treated with Zygspophysial Joint Regeneration Injection Therapy. Pain Physician. 2007 Mar; 10(2): 313-8. In an update to our recent post regarding the use of PRP for Achilles Tendinopathy, a retrospective analysis of 26 patients was published this past month in Foot and Ankle Specialist (Oloff et al 2015). One of the authors has used PRP to treat Achilles Tendinopathy for both those patients who have needed surgery and for those treated non-operatively for the condition. Outcomes were based on the validated Victorian Institute of Sports Assessment-Achilles (VISA-A) questionnaire and evaluation of pre and post treatment MRI images. There was a statistically significant degree of improvement seen on pre and post MRI images. Both groups (surgical and non-surgical) improved to a similar degree. One criticism is that this is a level IV study (evidence based medicine) and is based on a case series. It adds to the current body of literature which has shown that PRP may be helpful for Achilles Tendinopathy. Certainly, data from larger well controlled clinical trials is needed to determine effectiveness of PRP therapy and to define more specific treatment protocols. Oloff L., Elmi E., Nelson J., Crain J. Retrospective Analysis of the Effectiveness of Platelet-Rich Plasma in the Treatment of Achilles Tendinopathy: Pre-Treatment and Posttreatment Correlation of Magnetic Resonance Imaging and Clinical Assessment. Foot Ankle Spec. 2015 Aug 7. Achilles tendonitis is one of the most common overuse injuries seen by orthopaedists. While there are several different known causes of Achilles tendonitis, overuse and degeneration are two of the most common reasons. In the truest sense, Achilles tendinopathy more accurately describes the condition. Tendinitis means inflammation within a tendon whereas, tendinosis refers to micro tears commonly as the result of overuse. Collectively tendinopathy incorporates both of these findings. Those who suffer from Achilles tendinopathy typically complain of pain either along the midportion of the tendon or at the insertion site at the heel. Stiffness in the morning and increasing pain with activity is common. Thickening of the tendon can result from injury or from degenerative changes seen with age. For some, swelling and redness may also be present. Historically, the normal treatment course for Achilles tendinopathy has focused on activity modification including rest, ice, non-steroidal ant inflammatory medication (NSAID), and stretching exercises. In rare cases, corticosteroid injections have been given for Achilles tendonitis, but there is concern for risk of tendon rupture associated with this. Unfortunately for some, Achilles tendinopathy can become a chronic condition in which adhesions can may form between the tendon and tendon sheath. This is a much harder condition to treat. There are several different surgical approaches to address this problem however, recovery can be prolonged and return to certain activities may be limited on a long term basis. Beyond the standard treatments mentioned above, regenerative injection therapies including Prolotherapy and PRP also may also have a place in the management of Achilles tendinopathy. On the Prolotherapy side, a randomized clinical trial that was conducted in Australia (Yelland et al 2011) showed that Prolotherapy when combined with specific exercises was very effective early at reducing stiffness and allowing for increased activity. Several studies have evaluated the use of PRP for Achilles tendinopathy. A European study that is due to publish this month in Foot and Ankle Surgery, reported on 83 Achilles tendons that were followed for an average of 50 months after a single PRP injection. Statistically significant score improvements were seen on the Victoria Institute of Sports Assessment – Achilles (VISA-A) questionnaire. 91.6% of the patients were satisfied with the treatment at final follow-up. No tendon ruptures were seen. A similar study by Filardo et al (2014) showed a positive outcomes for 27 cases of chronic Achilles tendinopathy treated with leucocyte positive PRP with an average of 54 months of follow-up. The published data on the use of regenerative injections for Achilles tendinopathy is very limited at the present time. This is an area that is presently being investigated. The results do appear to be promising so far.